Susan Aldworth: The Portrait Anatomised (2013) by Susan Aldworth with essays by Inge Fraser, Gill Saunders, Max Eilenberg and Jean-Pierre Lin. 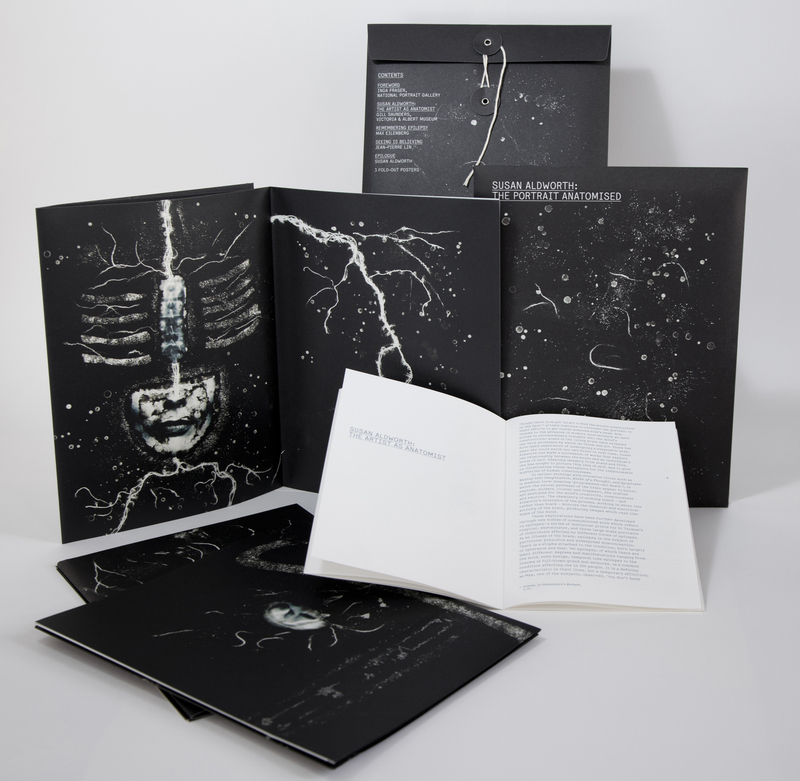 Numbered edition of 750 copies only. Includes 3 fold-out four-colour prints by Susan Aldworth. ISBN 9780955811326, £15.00. Published to accompany a display at the National Portrait Gallery, London, 7 March to 1 September 2013. For more information on the display, visit the NPG website. Also available: to order please contact info@casslandbooks.com. Reassembling the Self: A Collection, edited by Susan Aldworth (2012). Essays by Julia Beaumont-Jones, Paul Broks and Anya Hurlbert. Catalogue published to accompany an exhibition at the Hatton Gallery, Newcastle and Vane, Newcastle, September to November 2012. 68pp, four-colour throughout. ISBN 9780955811319, £15.00. Scribing the Soul by Susan Aldworth (2008). 48pp, four-colour throughout. ISBN 9780955811302, £7.99.